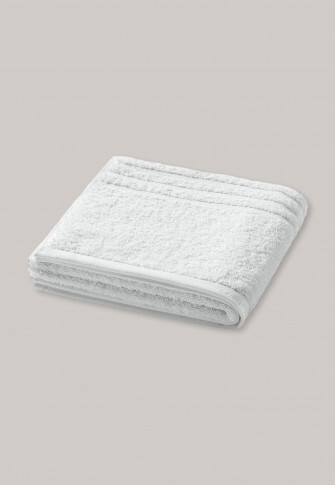 With this white hand towel, you can pamper your skin after every wash with the best, the softest SCHIESSER quality. High-quality terrycloth from 100% fine Oko-Tex Standard 100 cotton feels wonderful against the skin and features an elegant striped design, get won over by the stylish SCHIESSER embroidery on the hem as well as the extremely absorbent material that's both visual and practical. An essential accessory for every bathroom! 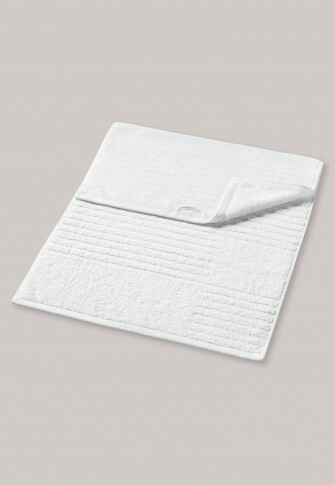 Ich habe 9 Erwachsene Enkel,die sich über ein Handtuch in sehr guter Qualitat freuen werden.